Whatever type of gauge parts the customer selects, Danley can manufacture the support equipment to carry them. Whatever the make of tufting machine, Danley, with our vast experience of design and development, can advise on the correct combination of gauge parts. Cutting systems can be designed and supplied to give the highest levels of accuracy and efficiency. 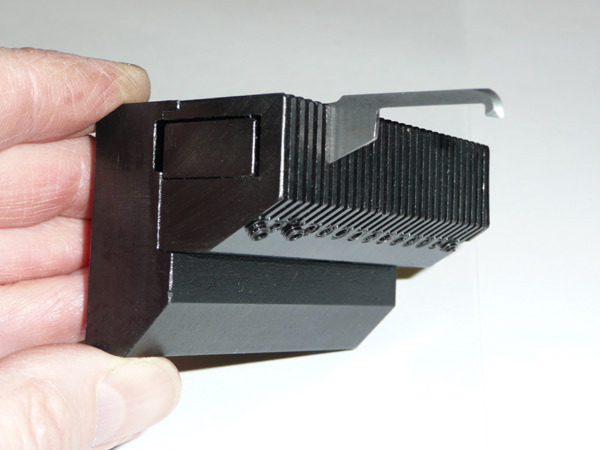 Our "high tech" engineering machine shop ensures that very accurate equipment is produced. We are also able to offer customers the extra service of installation and commissioning, should it be requested. 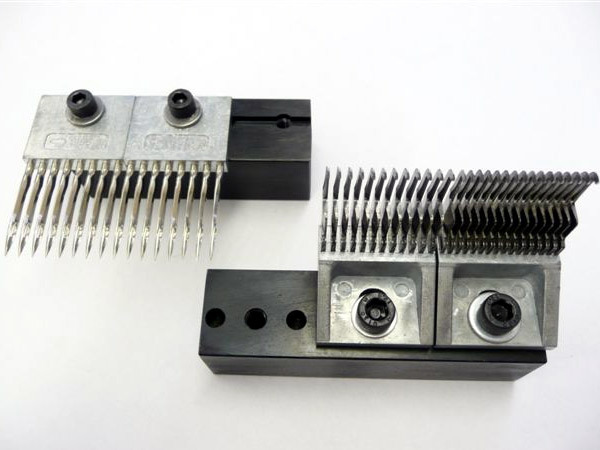 Semi Modular Knife systems have been designed to achieve maximum pitch accuracy, rigid knife support and high knifeblock strength. These systems improve efficiency on knife changes and improve gauge part life, resulting in higher quality carpets being produced. 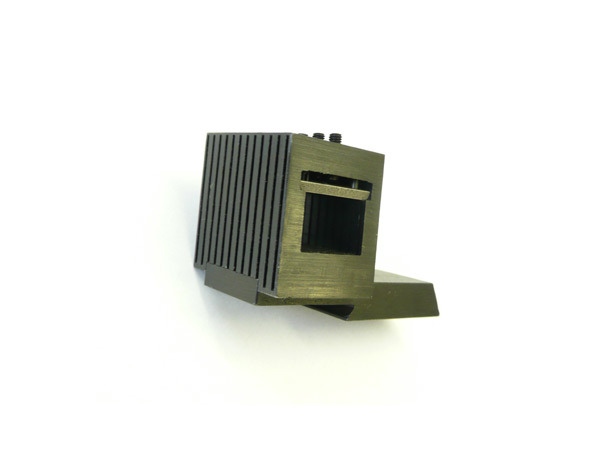 Danley are able to offer a complete range of semi modular knife blocks and backing bars for most makes of machine and can also offer many styles of systems as spare parts, totally interchangeable and in many cases improved from the original designs. The very high precision Danley semi modular hookbar system has been designed to give maximum pitch accuracy, combined with a positive hook securing system, that is equal to the full module hook blocks. All the advantages of modular hooks are achieved, but with the added flexibility and cost saving which results from the simple replacement of individual broken or damaged hooks. The hooks are clamped in position by a socket set screw, which clamps two hooks through a captive phosphor bronze ball. They are available in all gauges and are suitablefor 1/10", high speed steel or tungsten hooks, which are readily available from all the leading manufacturers of gauge parts. These systems are suitable for most makes of tufting machine and combine with most styles of semi modular knife and standard knife, cutting systems. 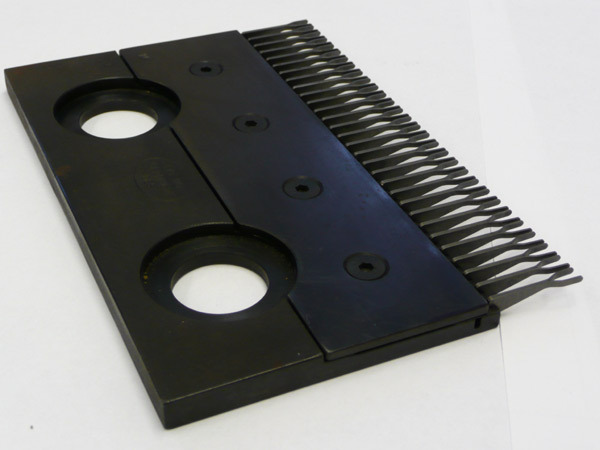 Danley Dent Reed Plates Advanced Efficiency For Your Tufting Machines. 1. Extra low pile height attainable due to protrusion of dents. 2. Level surface from reed dent to reed plate. 3. Unique reed dent design for high strength, flexibility and rigidity. 4. Precision Manufactured parts for interchangeability. 5. Gauge parts more accessible for cleaning. Sets have been commissioned in tufting plants both at home and abroad with tremendous success, giving more level pile height and greater efficiencies to all makes of tufting machines. Danley dent plates have been manufactured from gauges of 5/64" gauge up to 1/2" gauge both on plain broadloom, Sliding needlebar, graphics and pass machines. With the new "Extra Low Profile" (E.L.P) Reed Dent Plates and specialist gauge parts, extra low pile heights have been achieved, that previosly had been impossible to attain.